Air Conditioner Maintenance - Is Your Unit Ready for the Summer Heat? 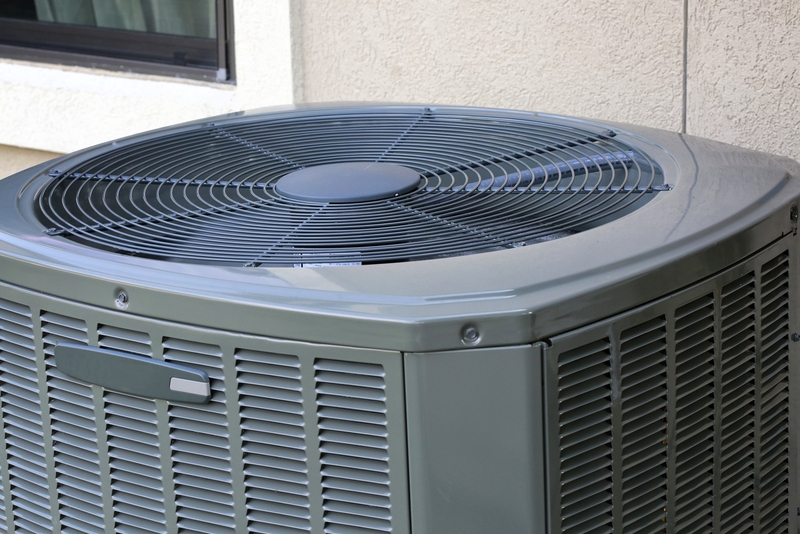 Home » Helpful Hints » Air Conditioner Maintenance – Is Your Unit Ready for the Summer Heat? There’s nothing worse than turning on your air conditioner for the first time of the season only to find out it’s not working. Having air conditioner maintenance performed before you flip the switch for the first time this year is the best way avoid that hot, uncomfortable situation caused by a broken air conditioner. Even if it kicks in the first time you turn it on, preventative maintenance can keep your air conditioner running smoothly and efficiently all summer long. 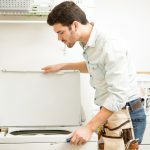 While you should have your unit professionally serviced annually, there are some basic maintenance tasks you can do between those visits. After the winter wind and weather, you will need to inspect your outside unit. First, if you covered your unit for the winter, take the cover off. Remove any debris on or around the unit such as fallen branches, leaves, dirt or overgrown weeds that could restrict airflow. Inspect the outside panels of the unit for damage. The condenser is contained behind these panels as well as electrical connections and other important parts of your air conditioning system. 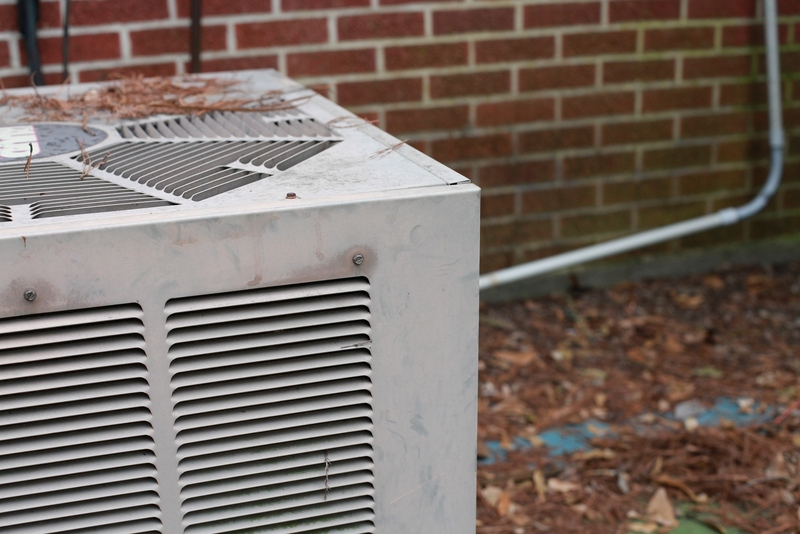 Vital to the operation of the unit, the condenser takes the warm air extracted from your home and releases it outside. If the panels have sustained damage from harsh weather, you need call a professional air conditioner technician. They will come out and open up the unit to see if there is any internal damage and make any necessary repairs. It’s a common misconception that the purpose of the air filter is an air conditioning system is to protect the air quality in your home. Actually, the purpose of the air filter is to protect the components of the system. Dirt build-up on the air filter can negatively impact indoor air quality, but more importantly, it can restrict airflow. This will make the unit work harder, increase wear and tear, and even cause the system to fail. Start the season off with a new air filter and change it regularly. If you have an HVAC unit that provides your home’s heat as well, the air filter should be checked and changed regularly throughout the year. Make sure all supply and return air vents are free of any obstruction to allow for maximum airflow. Airflow can be blocked by a variety of different things such as dirt, debris, or pet hair. Furniture too close to the vent can also inhibit airflow. 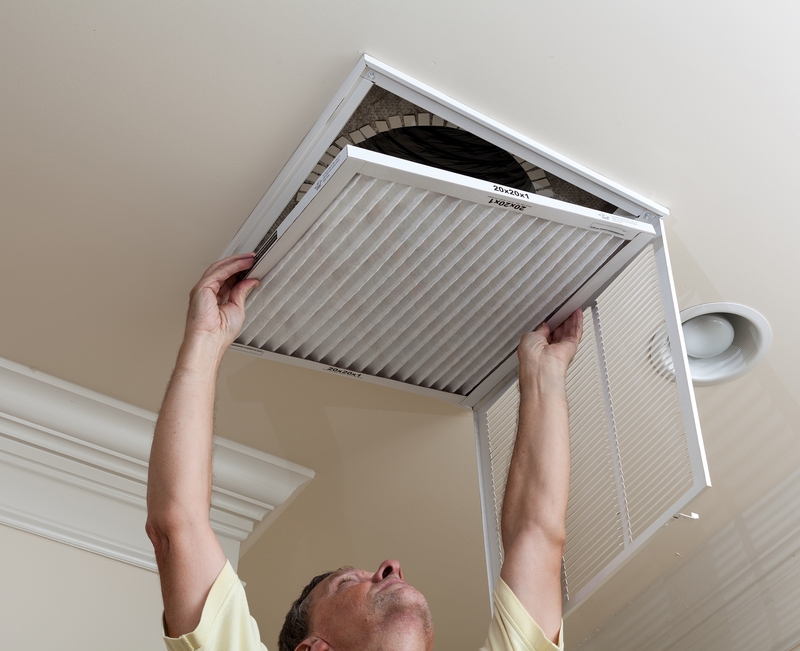 It’s a good practice to clean all the vents in your home at the beginning of each cooling. Again, if your home has an HVAC system, these vents should be checked and cleaned throughout the year. Once you’ve completed each of these tasks, flip the switch. After the air conditioner has been on for a few minutes, it should be blowing cool air. If the air feels warm or you aren’t feeling any airflow at all, turn the air conditioner off and call a professional service technician. If you leave it running, you could cause further damage. If you find anything out of the ordinary when inspecting or testing your air conditioner, the certified service technicians at Jersey Coast Appliance can help. With the first day of summer almost here, now is the time for air conditioner maintenance. 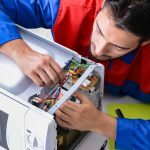 Jersey Coast Appliance has expertly trained and certified repair technicians to take care of air conditioner service and any other appliance repair issues you may have. We offer a variety of service options to fit your needs including 24/7 emergency service and Night Owl service. We also understand that your time is valuable and offer a two-hour window of arrival. Schedule your air conditioner maintenance today!